As you might have learned from here, here, here and here, I have an obsession with fried chicken. Any time there is fried chicken on the menu, it’s mine. It’s a very bad addiction, and I swear I’ll get help next week. 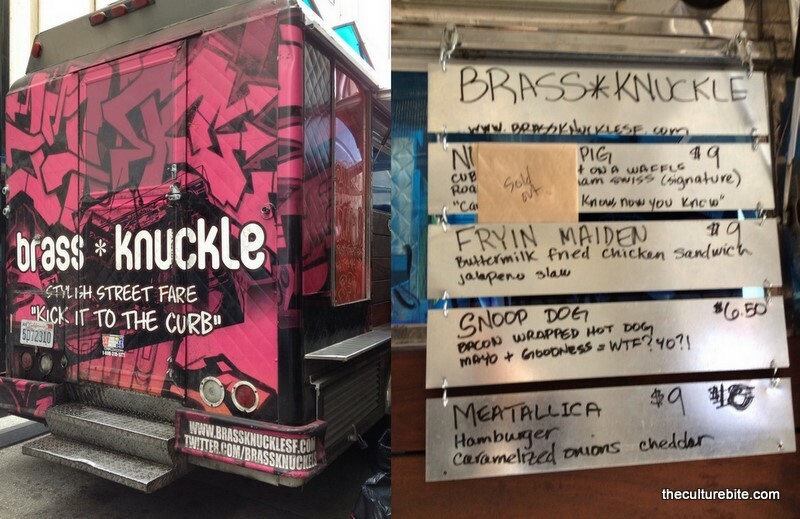 But first, let me review the fried chicken sandwich from the Brass Knuckle food truck. Now, I would say I’m rather an expert at fried chicken sandwiches (cocky much?) from experiences at such places like Bakesale Betty, 4505 Meats and the BBQ line at Town Hall (during past summers). I’ve heard some talk about Brass Knuckle after the Eat Real Fest in Jack London Square this year and I knew I had to try. I’m not sure I’m thrilled about having the Truck Stop (alley on Mission between Fremont and 1st) only a few blocks away from me because it’s almost too easy to get delicious and unhealthy foods from the hottest food trucks. So, when I learned that Brass Knuckle would be at the Truck Stop, I rallied up my team and we each ordered the Fryin’ Maiden, a buttermilk fried chicken sandwich with a jalapeno slaw. Oh before I forget, their entire menu is “rock star” themed. At first bite, I was a little disappointed. The chicken was juicy, but flavorless. It could’ve also used some extra slaw, though that didn’t taste like anything either. It was basically flavorless shredded cabbage with chunks of non-spicy jalapenos. 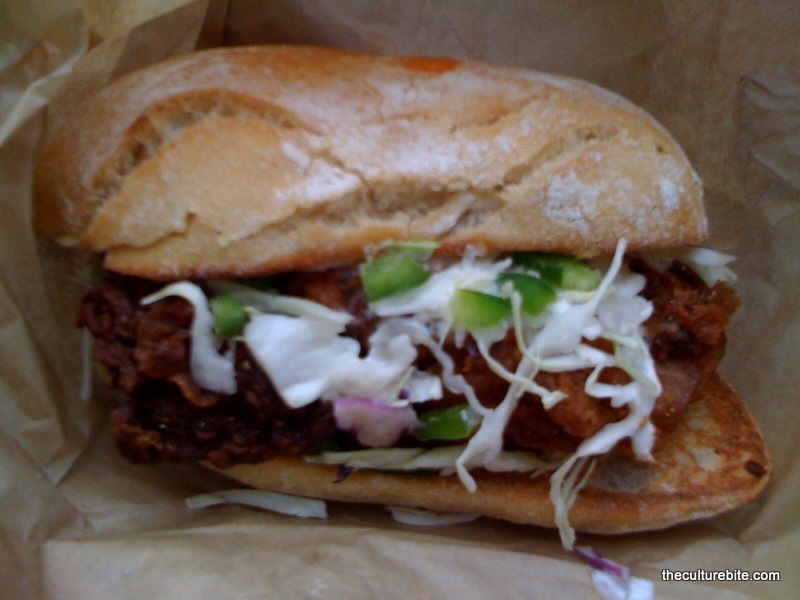 Bakesale Betty’s still has the number one fried chicken sandwich in my book. The sandwich came with a complimentary bag of french fries. This, I loved. 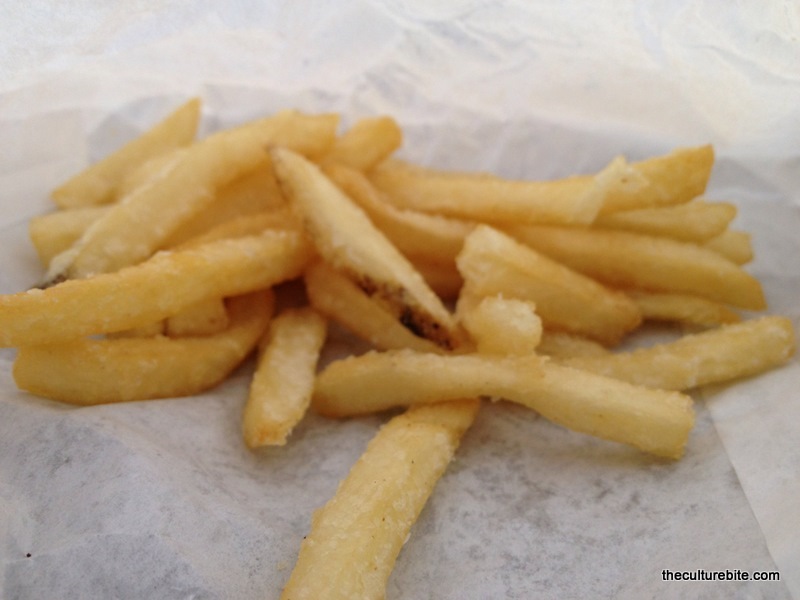 Though, I’m pretty sure these were frozen french fries. They tasted like the generously salted golden fries at McD’s. Who doesn’t love that? Overall, a disappointing meal. I wouldn’t order the Fryin Maiden again, but I’m interested in trying the Notorious PIG. That’s a pulled pork, bbq sauce, waffle sandwich!